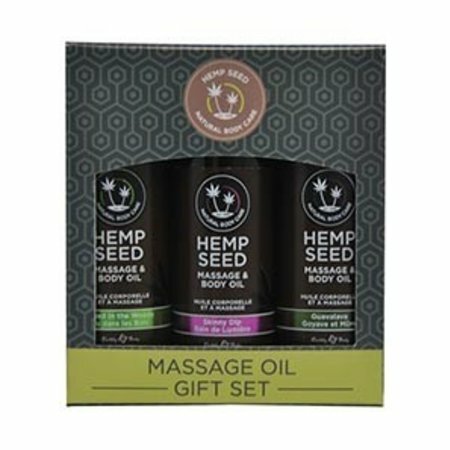 These 100% vegan scented massage oils make an excellent gift-- the attractive box even has a little "to and from" space if you don't have time to wrap it! Makes a great holiday fun gift. 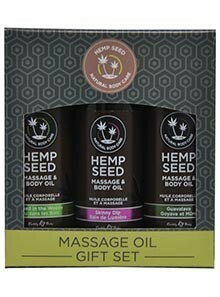 Made from all-natural oils including Hemp Seed, Almond, Grape Seed, Apricot, and Vitamin E.